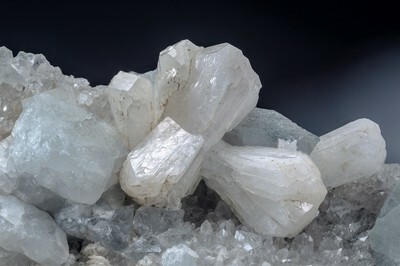 White stellerite crystals in association with light green fluorite crystals, on small quartz crystals. Collection and photo of Gianfranco Ciccolini. Nikon D750, bellows, Scheider Kreuznach Componon 80 mm; f: 5.6. Focal using 7.